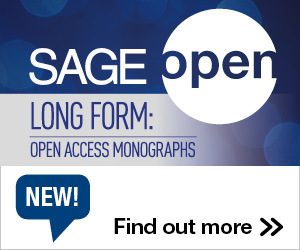 The following articles are drawn from SAGE Insight, which spotlights research published in SAGE’s more than 700 journals. The articles linked below are free to read for a limited period. The purpose of this special issue is to draw attention to the critical issues of disability and poverty. The aim of this study was to ascertain the UK autism community’s views and priorities for autism research. Are sciences essential and humanities elective? This paper contributes to the ongoing debate, to critically examine whether it is logical, or indeed illogical, to believe that humanities research is some kind of ‘luxury’ making little contribution to society. This special issue offers exemplary essays advocating, illuminating, illustrating and reflecting on what the Humanities are for and what they do and should do in the liberal university. This study aims to triangulate theories of gender and ideology, criminology, and sociology to analyze the phenomenon of women engaged in U.S. homegrown terrorism and extremist violence. This study considers the ways The New York Times’ The Lede live blog has responded to citizen-produced content which has made up much of the blog’s first-hand material about the Syrian uprising that began in 2011 with the start of the Arab Spring. This article explores the self-reported parenting challenges of 50 transgender parents based on an online survey of lesbian, gay, bisexual, and trans parents in the United States. This study used a signal detection paradigm to explore the Marley hypothesis—that group differences in perception of racism reflect dominant-group denial of and ignorance about the extent of past racism. This entry was posted in News, Research, Research and tagged Round-up. Bookmark the permalink. Trackbacks are closed, but you can post a comment.